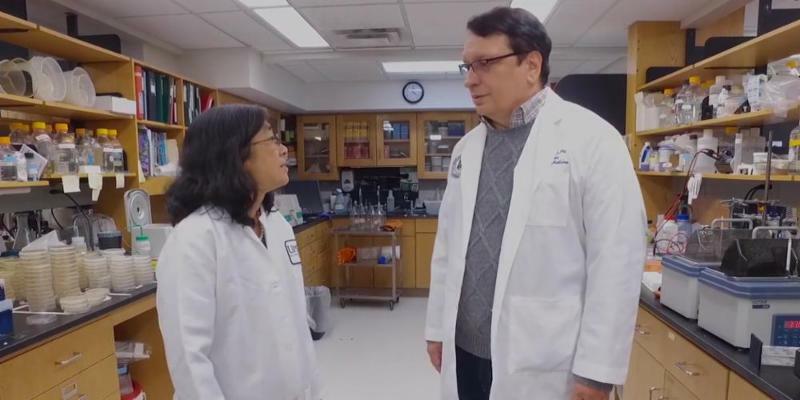 A new “smart drug” has shown promise for women with metastatic triple-negative breast cancer, based on data from a clinical trial at the Herbert Irving Comprehensive Cancer Center of Columbia University and NewYork-Presbyterian Hospital and other centers. 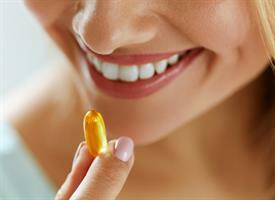 The data from the trial were published Feb. 20 in the New England Journal of Medicine. Take a closer look. Dennis S. Charney, MD, Anne and Joel Ehrenkranz Dean of the Icahn School of Medicine at Mount Sinai, is a co-inventor of a method of treatment for patients suffering from treatment-resistant depression which is patented and part of the drug application for Janssen’s SPRAVATO™(esketmine) CIII nasal spray, which was approved today by the U.S. Food and Drug Administration (FDA). This could bring relief to millions of patients with this condition. Take a closer look. 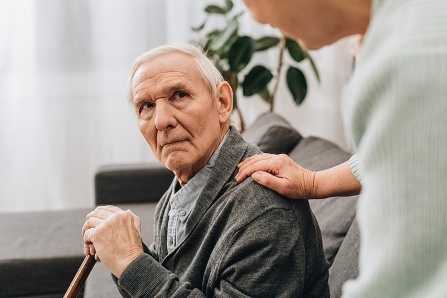 After Alzheimer’s disease, Lewy body dementia and related Parkinson’s disease dementia (PDD) are some of the most common types of dementia affecting older adults, but they are severely understudied. While PDD patients are often prescribed medications that treat psychosis and Alzheimer’s disease, there are no medications designed specifically to treat these illnesses. Take a closer look. New research shows how the depth of sleep can impact our brain’s ability to efficiently wash away waste and toxic proteins. Because sleep often becomes increasingly lighter and more disrupted as we become older, the study reinforces and potentially explains the links between aging, sleep deprivation, and heightened risk for Alzheimer’s disease. Take a closer look. Schizophrenia is a severe, chronic mental illness that impacts how a person behaves. It’s estimated that about 1.5 million people are diagnosed with schizophrenia annually. The findings, researchers say, could transform the way schizophrenia is treated. The breakthrough research is reported in the journal Science Advances. Take a closer look. Brain cells recorded as among the least electrically active during a specific task may be the most important for doing it right. Results of new experiments in rodents, led by neuroscientists at NYU School of Medicine, challenge the assumption in brain research that the most active brain cells, or neurons, involved in any complex activity are also the most important in controlling that behavior. Take a closer look. A paper describing the PhD dissertation work of K. Genevieve Feldmann and her thesis advisor Dr Itzhak Mano made the cover of the Journal of Neurochemistry, Vol. 148, No. 4, February 2019. Drs Feldmann & Mano present their work on excitotoxicity, a form of neurodegeneration prevalent in stroke/brain ischemia. Using the simple animal model system of the nematode C. elegans, the authors show that excitotoxic neuronal damage can be mitigated by an unexpected mechanism that activates a neuro-protective program of gene expression. Take a closer look. 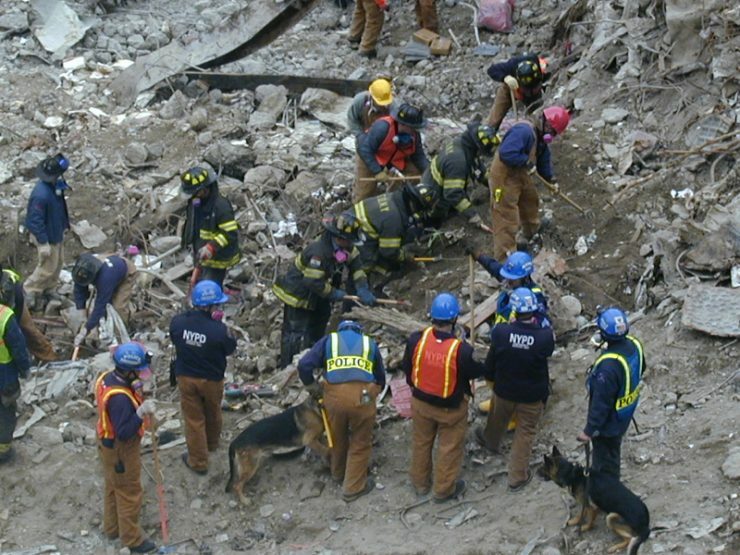 The physical and cognitive health of 911 World Trade Center responders remains a concern for healthcare professionals who care for the thousands of responders, many of whom continue to experience conditions such as post-traumatic stress disorder (PTSD). A new pilot study led by researchers at Stony Brook University and the Stony Brook World Trade Center Health and Wellness Program suggests that there may be a link between chronic PTSD in responders and neurodegeneration. Take a closer look. 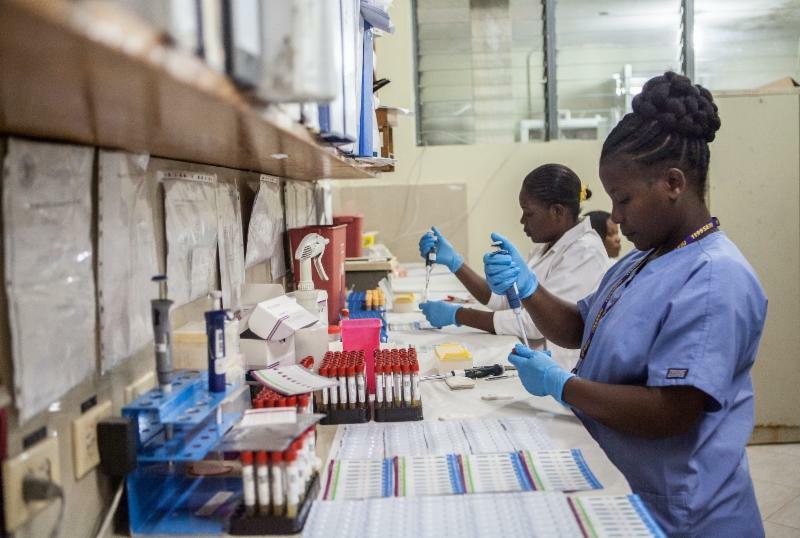 Despite comprising up to 80 percent of global health faculty members and workers, women hold only a fraction of global health leadership roles – a disparity stemming mainly from gender-based challenges in work-life balance, gender discrimination, and sexual harassment or assault, according to a research report by researchers at Weill Cornell Medicine’s Center for Global Health. Take a closer look. Investigators discovered, unexpectedly, that soybean oil was better than fish oil for reducing cancer-related fatigue in breast cancer survivors. The study results – along with other research – raises new questions about the value of fish oil and also the consumption of soy by women with breast cancer, which is controversial. Take a closer look. Nobody likes to be told to give up his or her favorite foods-least of all a child who feels perfectly fine. 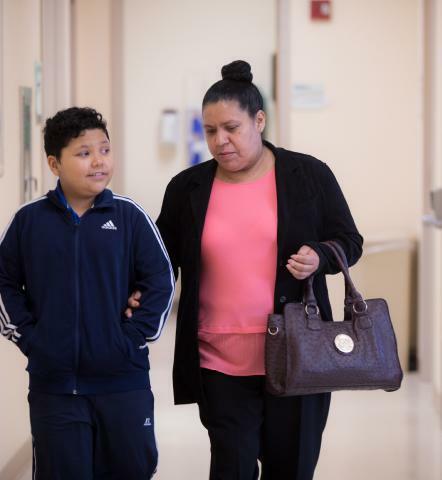 Just ask 12-year-old Juan Mendoza of the Bronx. Three years ago, during a routine checkup, blood tests revealed that Juan had abnormal liver enzymes signaling nonalcoholic fatty liver disease (NAFLD). Take a closer look. 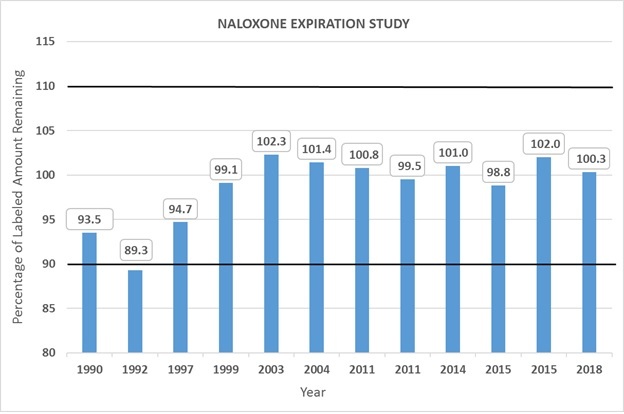 Naloxone products used to reverse opioid overdoses may still meet United States Pharmacopeia (USP) standards 30 years after the expiration date, according to research conducted by faculty and students from the Albany College of Pharmacy and Health Sciences (ACPHS) and Albany Medical College (AMC). Take a closer look. 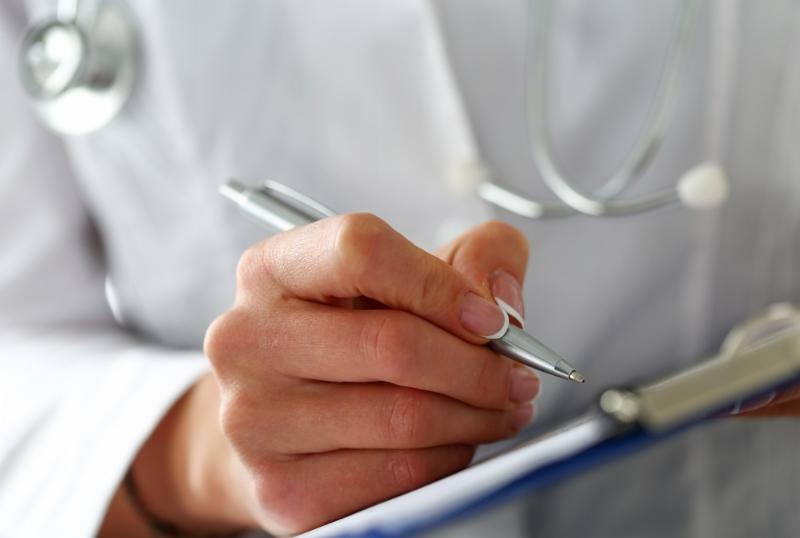 Most of the reasons why American patients receive care from multiple providers are related to numerous modifiable causes such as patient preferences, physician referrals and health system factors -not medical need-according to a qualitative study by Weill Cornell Medicine researchers. Take a closer look. Zucker School of Medicine Associate Professor of Molecular Medicine/Pediatrics and anemia expert Lionel Blanc, PhD, received a five-year, $2.5 million National Institutes of Health (NIH) grant to study improved treatment for erythropoietic disorders, including Diamond Blackfan anemia. Take a closer look. 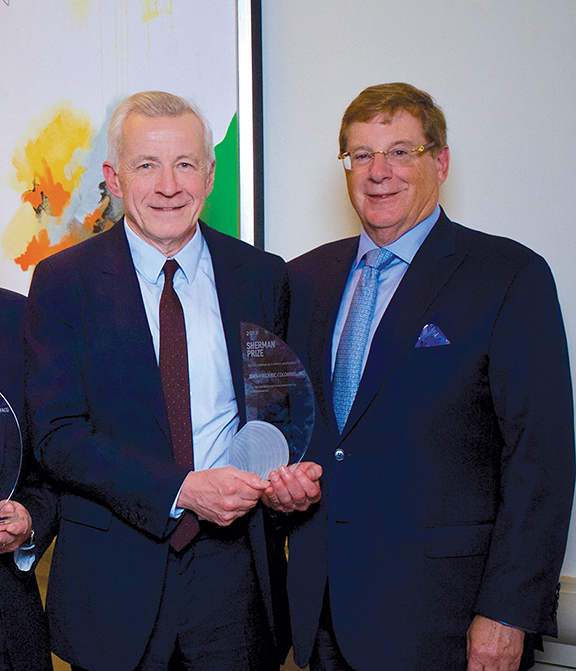 Jean-Frédéric Colombel, MD, whose research has led to some of the most seminal discoveries in Crohn’s disease and ulcerative colitis-chronic inflammatory conditions that damage the gastrointestinal tract-was one of three national recipients of the 2018 Sherman Prize. Take a closer look. 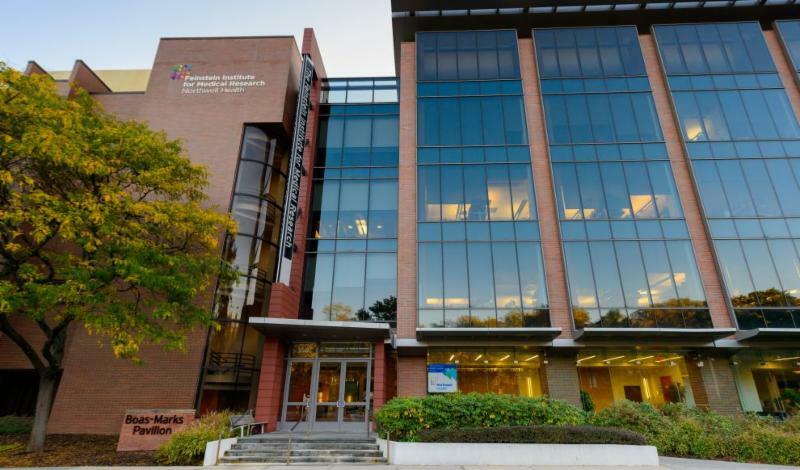 The Biomedical Acceleration and Commercialization Center (BACC) at Albany Medical College received a grant from National Grid to provide direct financial assistance to BACC biomedical start-up companies for commercialization needs and access to experts. Take a closer look. 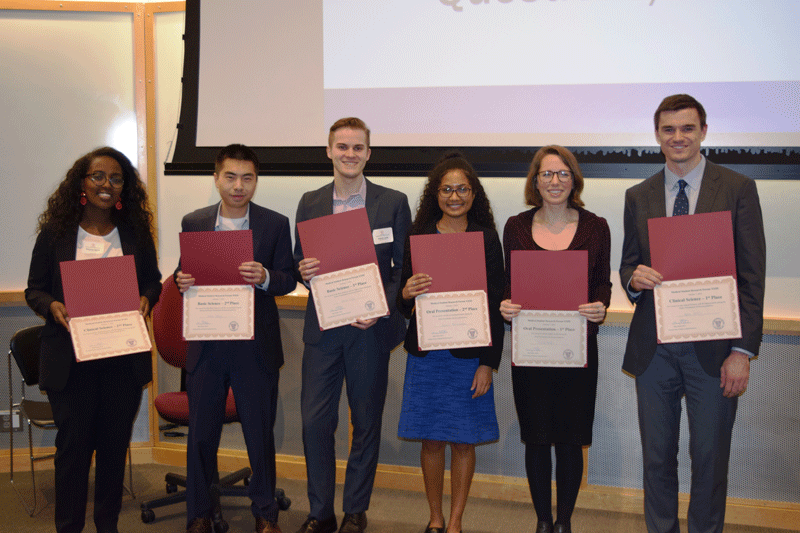 The 23rd Annual Medical Student Research Forum on February 7, was a showcase of a wide variety of basic science and clinical research conducted by medical students. It was the largest one to date, with 59 poster and 16 oral presentation submissions and a feverish call for judges to review, critique and score the abundance of entries. Take a closer look. 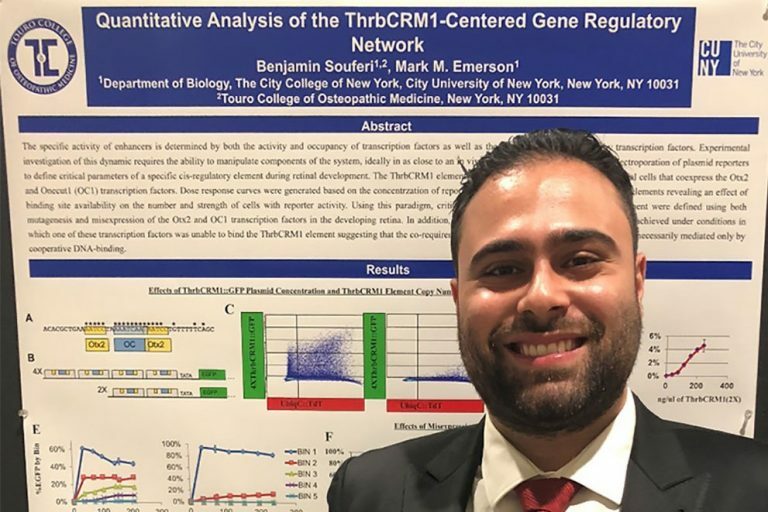 Ben Souferi, a second-year medical student at Touro College of Osteopathic Medicine in New York City, recently won a first-place award from the American Medical Association (AMA) for his research in eyesight restoration. Take a closer look. Kristin Yang and Elizabeth Yim, CSOM first year medical students, presented their research posters at the 6th Annual Conference of the NYC Epidemiology Forum, held at NYU. Dr. Amr Soliman, Medical Professor in the Department of Community Health and Social Medicine, serves as their mentor. Take a closer look. 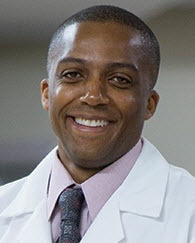 As an officer of the U.S. Navy with first-hand understanding of the high-rate of brain-related injuries sustained by service members and veterans, Mill Etienne, M.D.’02, M.P.H., FAAN, FAES, assistant dean for student affairs, clinical assistant professor of neurology and School of Medicine house advisory dean, created the first-of-its-kind comprehensive epilepsy center for the U.S. military-the Comprehensive Epilepsy Center at Walter Reed National Military Medical Center in Bethesda, Maryland. Take a closer look. For Assistant Professor Julia Molnar, Ph.D., the road to biomedical sciences wasn’t an obvious one. 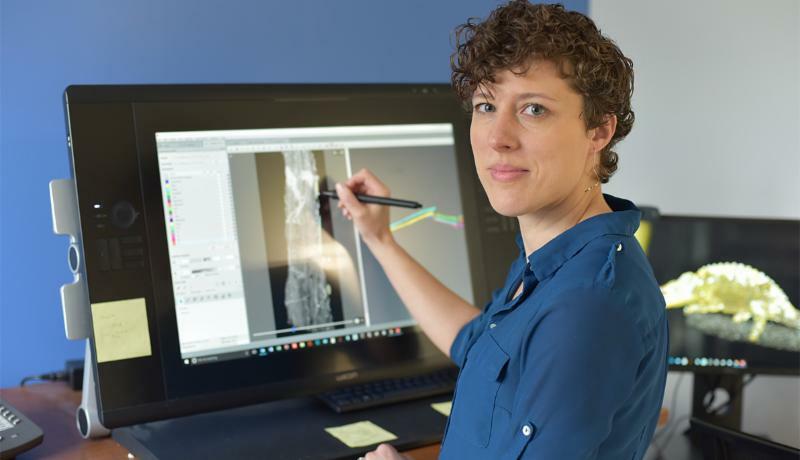 The illustrator turned anatomist sat down with The Box to talk about her career journey and research on animal locomotion. Take a closer look. Pictures may be worth a thousand words but with medical images, that’s an understatement. 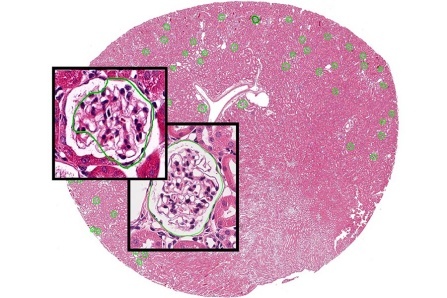 Digital images of biopsies are especially valuable in diagnosing and tracking the progression of certain diseases, such as chronic kidney disease and cancer. Take a closer look.